Today Google pulled the wraps off its two new services set to change the way we shop. Google Wallet and Google Offers are said to be the next big thing in commerce, making your ordinary wallet obsolete in a few years time as the programs gain the needed momentum. As we told you yesterday, Google Wallet is an Android app and is going to operate thanks to the NFC chip found in some of the currently existing and many of the upcoming smartphones. 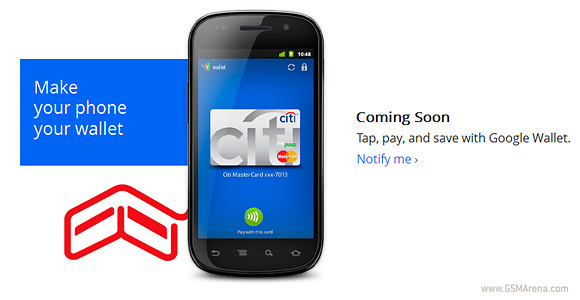 For now the new mobile-payment method is supported only in the USA, thanks to Sprint and the Samsung Nexus S 4G, with other major partners being Citi Bank, MasterCard and First Data. The first merchants and stores to accept mobile payment through Google Wallet are Subway, American Eagle, Macy's and American Outfitters along many others. Google Offers is tightly connected with the Wallet app. After you make a purchase, depending on the store you are in, you will be able to receive special coupons or loyalty points, which you can use at a later point in time. Undoubtedly, Google Offers is taking aim at Groupon, the current leader in discount offers and deals. Currently, only a couple of major cities in the United States are able to get deals from Google Offers, but the smart money is on many more following, including some in countries outside North America. Google is certain the Wallet application will be used not only for purchasing consumer goods, but also for getting tickets, boarding passes, storing IDs, keys and basically everything your ordinary wallet can hold. While both services will be in a testing period for the next couple of months, Google is certain to expand the coverage area of both Wallet and Offers fast. And finally, take a look at this video, in which the first batch of merchants supporting Google Wallet share their thoughts. I like how macys lady kept saying the customer is a "her" makes me glad I didn't get the nexus s 4g which apparently is a feminine phone. BTW where is "the container store"? what are you talking about? thats why we have passwords and remote locking! thsi i s best. .